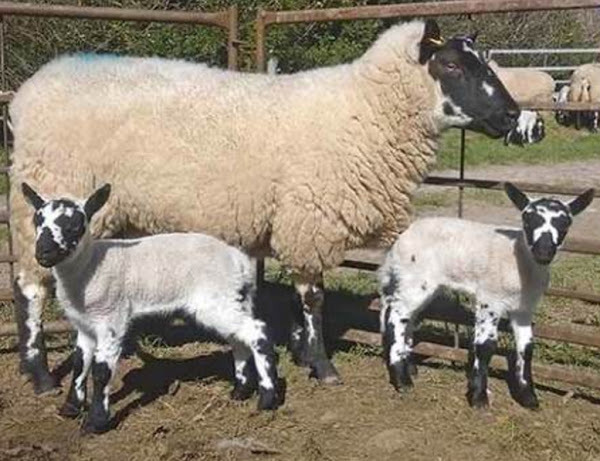 Speckled-face sheep have been bred on the hills of Eppynt, Llanafan, Abergwesyn, and Llanwrtyd Wells for over 100 years, without introduction of female stock. On the hill, the ewes are normally purebred, providing flock replacements, finished lambs for the meat trade, or store lambs for finishing on lowland farms. Beulah ewes are also idea for crossing with most continental rams, as well as Suffolk and Down rams to produce high-quality carcasses. Rams have found great demand in many mountain flocks to improve size and wool quality. They have very clean soft handling wool. Ewes are hornless, as are the majority of rams. Their face is free from wool and distinctly speckled.